Can I Sue for Cosmetic and Plastic Surgery Errors in Florida? Cosmetic and plastic surgery often come with a negative social stigma, don’t they? When we first hear or think about “cosmetic or plastic surgery”, we often think of some well-known celebrities with the fakest smiles (and bodies). 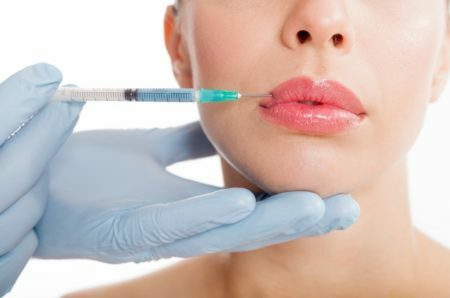 But as time goes on, the cosmetic plastic surgery industry has improved with treatments and technology, and the perception is also changing and becoming more common and even popular. But like any area of medicine, plastic and cosmetic surgery doesn’t come without its mistakes and errors. For anyone who chooses to have plastic surgery and manages to go through the process without any major cosmetic surgery errors, it can significantly change your life for the better. This is not the case, however, for those individuals who suffer serious injuries as a result of the doctor’s negligence. Typically, cosmetic and plastic surgery is sought after in order to correct disfigurements like a birth defect, to improve your image, or to repair injuries from an accident or even a serious burn. Before the surgery happens, it is essential for the doctor to determine whether or not the patient is a suitable candidate for plastic surgery. If the medical records indicate that there is cause for concern and the surgeon went ahead anyway, this could lead to an issue of liability because this is an example of negligence. Doctors can make mistakes during virtually any stage of any medical process or procedure. Plastic surgery risks do exist with general doctor negligence as well. General mistakes can be made in the surgical process, exposing you to serious risks like infection or disfigurement. When you visit with a plastic surgeon, you expect him or her to uphold your safety as the primary standard of care. If a physician doesn’t respect that standard properly, it is the patient who ends up suffering. Sadly, some doctors are not able to uphold the minimum standard of care that should be present throughout the industry. This sometimes occurs when a medical professional doesn’t have the proper training, equipment, or licensure in order to carry out the procedure. When this happens, you may consider filing a medical malpractice lawsuit. As you can see, there are numerous challenges and risks associated with plastic surgery mistakes, but if you can prove that a doctor’s negligence contributed to these injuries, then you may be able to file a claim in Florida based on medical malpractice. While there is no way to go back in time and undo the mistakes that happened in the operating room, you may be able to put your life back together and focus on the medical treatments necessary to move on successfully. Having a team of attorneys who understand the complex issues at play with a malpractice claim involving plastic surgery is essential for feeling confident about your case and determining whether it is appropriate to file a claim or not. Make sure you vet your medical malpractice attorney to determine whether he or she has a successful track record of handling medical malpractice cases. In determining whether someone has the basis for a malpractice case with cosmetic or plastic surgery, it is essential to hire a Florida medical malpractice attorney who can analyze the patient and his or her evaluation before, during, and after the treatment that was received. Doctor’s records are critical for an evaluation of your case, and you need an attorney who is familiar with these types of cases and who can read between the lines. Having someone represent you in a case like this can have significant implications for your future, so you should only hire someone who is knowledgeable about your situation and committed to assisting you with your case from start to finish.